Ever since Plants VS. Zombies came out a few years ago, I’ve been increasingly aware of the effects of the zombie scourge on our landscapes. I mean, you could be enjoying a peaceful afternoon sunning yourself in the garden, and all of a sudden, you hear the ominous sounds of the slavering undead coming closer. While they’re not terribly fast, they can be hard to deter. Bullets go right through them, and while baseball bats can be effective, who wants to get that close? Zombies don’t smell very good. Thank goodness for garlic. While we think of garlic as repelling vampires, it actually does a pretty poor job of that, a fact which True Blood fanatics will be aware of. Where our allium-licious bulbs shine however, is with zombies. You’d think the aura of dust and decay surrounding zombies would make them oblivious to the scent and flavor of garlic, but there you’d be wrong. Zombies are fascinated by garlic and feel compelled to taste it, and are then overcome with disgust and move on to the next garden. So plant garlic around the periphery of your landscape, and give some to your nicest friends, family and neighbors. The zombies will move from garden to garden, sampling the fragrant bulbs, saying “blech!”, and moving to the next garlic patch until they come to an undefended parcel of land with no garlic defense system in place. This may belong to the nasty character down the street who gives out raisins at Halloween (not even the chocolate-covered kind), or the jerk who drives his noisy homemade scooter up and down the street at breakneck speeds, thinking that all the commotion and smoke belching out the back makes him more attractive to the ladies (as if). I’m not saying we want them to be eaten by the zombies, just that if we only have so much garlic to go around, let’s share it with the people who give out homemade Christmas cookies and have nice cats and call us “dear”. Anyway, with the zombie scourge in full effect, it may be difficult to find ample supplies of quality garlic. And you don’t want to stick with just one kind, either – zombies have surprisingly complex palates and may develop resistance to garlic if we all plant the same type. Disclosure: Peaceful Valley sent me some free garlic to write this post, but I think that’s just because their marketing director Charlotte likes me and doesn’t want to see me fall prey to the dusty undead. All opinions about zombies are my own. If zombies don’t like garlic, then deer must not either. I’d like some. Haven’t planted garlic before – sounds like a good time to try! I would love to win this garlic. I have never grown my own garlic. I Love your site! A lot of good info to battle the zombies with lol! I need to plant a lot of garlic! Unlike the zombies, I love garlic! I’ve already seen too many of the computer kind – zomboids. Count me in…I have not planted my Roja yet! I’d love to try growing garlic and see if it sends squirrels in the opposite direction as well! This is awesome! I didn’t grow nearly enough garlic this past year, so I want to plant lots more this year. If a zombie wears gloves, can it still plant garlic? Because I can imagine a use for the untiring undead weeding the fall garden and then, hey! since it’s being so helpful, how about planting some garlic as well?? I’ve been interested in growing garlic. This would be a nice start! I failed to start any overwintering broccoli or cauliflower this year (the cauliflower distracts the zombies because it looks like brains), so I have lots of room for garlic in my veggie beds. Would love to win. thank for the giveaway! This looks fantastic! Thanks for the opportunity. I’d love to try growing garlic in a smart pot! This is my first year growing garlic. The kit would be a great help. Thanks for a great give away! I grow mostly Chesnok Red, but would like to try Russian Red. I grew garlic for the first time this past growing season. I loved it! It was very satisfying. I LOVED your tie in with the zombies :). Don’t forget the vampire-repelling qualities of garlic! I would love to win, we are always looking for extra zombie protection! Just found your blog…. I had been reading up on planting garlic since mine died in the spring…. 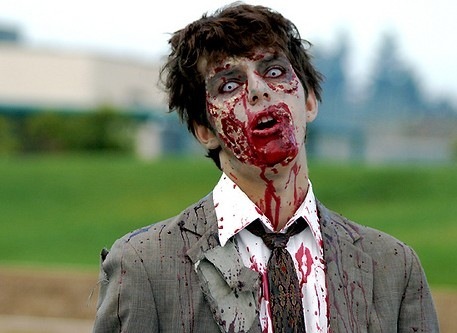 excellent site and giveaway…..
Would love to try and keep the zombie population down! Garlic is also great for keeping out plenty of other pests too–planting around fruit trees and squashes will keep the bugs away! I’ve never seen a zombie in my garden, but maybe that is because I grow garlic each year. LOL! I love it! Zombies beware! Thank you for the giveaway. I’ve only tried garlic once and didn’t know what I was doing at the time. I will do much better my next try. I’m in! I love garlic, and for some unknown reason I have never grown it – go figure. And to think, back in my day, all we had to worry about digging in our gardens were werewolves! this is my first season growing garlic, so these’d make a LOVELY addition! cant wait to get these cloves in the ground as soon as this RAIN lets up! Oh, my gosh. I spent today planting German Extra Hardy and Killarny Red. Would love to have another garlic variety to try! Hilarious! Garlic for the zombie Apocalypse. Am willing and able to do another bed in garlic. Had one two years ago with fairly good success. Don’t know what type I planted though. I’d love to try a new variety of garlic. Thanks for the chance. I have some garlic hanging by my front door, just in case. Always planted an unknown hardneck, had to move to the city but am back in the country starting my gardens from scratch. What a great giveaway!!! Thank you. Love it, use it and want to grow some this winter! But I can see that I know woefully little about all the different varieties available. Looking forward to learning more. Indidnt realize you could grow garlic in a pot. I would love to try that! I love garlic!! Thanks for the giveaway! I am really looking forward to growing garlic in my garden for the first time this year. Always willing to plant more garlic! That’s a sick prize package! I would REALLY like to have it!! I would love to have a shot at winning this organic garlic package, thanks for making it available! Lots of zombies here in Brooklyn! I had better plant some of that wonderful garlic fast! Actually, it grows really nicely in my allotment garden, and I love to try new varieties! getting my beds ready for garlic! Yet another reason to not want to be a zombie! I love garlic of all kinds, especially homegrown. I just left my garden of 20-plus years and am starting all over again in a new space. I can’t think of anything more important to include in my new garden than plenty of garlic. Thanks for the opportunity to do that. I’ve grown garlic for some years and last week I wanted to start planting garlic, I realized they almost all rotten inside. It`s Probably too moist this year in my storage room. I grow some local Estonian variety mixture of different varieties. I`m really disappointed! Can’t wait to start my first bed of garlic…this would be a great start!!! So happy to have found your blog, through this fantastic giveaway!!! Thanks for happy reading!!! I want to ward off the zombies big time! MMMM garlic. It’s never too early to start preparing for the zombie apocalypse!! garlic! garlic! garlic! garlic! garlic! garlic! Ought to come in handy for fending off vampires too!!! Just in time for Halloween. zombies and garlic, now that’s a combination! count me in. 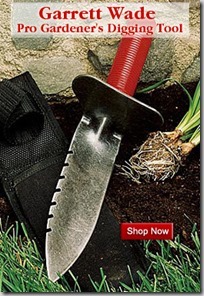 Another tool in the anti-zombie arsenal! Who knew? And tasty too! I live in a neighborhood with an encroaching Zombie takeover. I could use some garlic back-up here. Garlic is such a wonderful food source. I toss it in almost everything I cook. My family uses and grows the hard-neck garlic mostly. I love using the flower twists in cooking as well. I am going to try making a immune boosting recipe I found last year as the flu season has blossomed here in Wisconsin. If I find it successful and palatable I’ll post it here! I’m in the Northwest, too. I would love to grow some Russian Red! This is the best post I have read in eons! Thank you for brightening my day!! 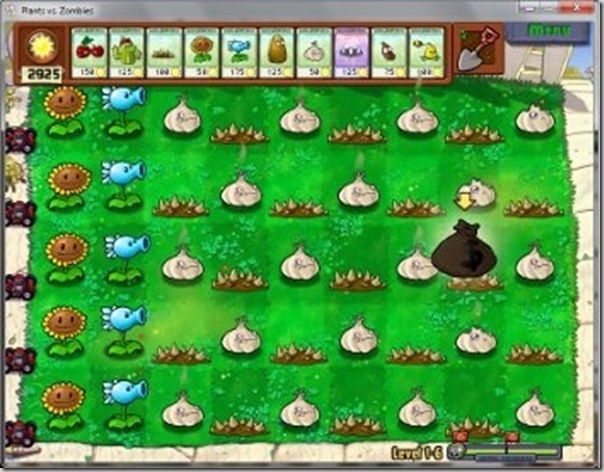 I loved garlic long before PvZ. Hope I can win some to grow. I’m a non-believer of zombies, but I do believe in giveaways! Hey, I love the rubber rake idea and video, btw! Ah yes, we must prepare for the Zombies! Since we have some down the street, this prize pack would come in quite handy. Actually, I always grow garlic, love it too much–our house smells like an Italian prep kitchen. Sometimes, I forget how much garlic we consume, and then I realize it at awkward moments, like Meet the Teacher night. Not everyone eats as much garlic as we do. Poor them. Thanks for hosting a great giveaway! Cheers! hey, i live in the soggy northwest AND I live in fear of the zombie apocalypse! I would love to have garlic to fend off the zombies! And here I thought garlic was only for vampires…would love to grow some as I use it almost daily! What does the liquid kelp do? HELP! I also need to keep the undead away! Thanks for the giveaway! Would like to try garlic. Would love to plant garlic in my front yard. Lots of zombies to ward off. Oh no! The Zombie Apocalypse is getting really close to my house. I MUST have more garlic to hold back the slobbering hoards. Please help! Never heard of your blog until the contest. I’m hooked to reading your blog alongside Gardenerd. Garlic, I love garlic! Please send some my way, please. Thanks so much for the tip that the Russian Red variety does well in the PNW. I will have to look for some (unless I’m lucky enough to win, of course!). i really like the russian red garlic. i’ve been eating it all summer. being able to grow it my self may be a good option! i tried garlic once before and it did not create new bulbs. i think the dirt was to compacted, so i’ll fluff up my dirt this time around. I’ve never tried to grow garlic. We just recently moved to 3 acres in Missouri from a city lot in Texas. I want a garden and would love to start with garlic. I hear we’re going to have a bad winter this year, lots of zombies. Have to plant a ton of garlic, I guess! I’ve been using garlic for more years than I’d like to admit. I use garlic in my homemade spaghetti sauce,meatloaf, spaghetti with garlic, olive oil and hot pepper flakes, the list goes on. Went to the garlic festival in Co Spgs a few weeks ago and got my garlic there, 3 different varieties. This year is my 1st time to grow my own garlic. I planted last weekend (hope it’s not to soon). Can you tell I am excited. Any growing tips? Not only will the garlic help ward off unwanted zombies and vampires, but it will help with unwanted germs. Working hard in my garden to be more self sufficient. Have a new bed just for planting garlic, so winning would be awesome! Garlic makes everything better! i’d love to plant some! I never knew zombies were repelled by garlic, only vampires. Would love to try growing some. Love a chance to grow garlic! Love your blog – will be reading regularly! I play plants vs. zombies all the time. I am up to level 33 in vasebreaker. I need this garlic to get me off the computer and in some fresh(ish) air! Zombies and colds…forever banished with garlic! After reading Married with Zombies, I know I need to be prepared! This will definitely help and I’m really interested in the garlic twist gadget. I’ve tried lots of garlic presses and my favorite is a type of garlic grater that works the best of anything I’ve ever tried. And would really love to try growing garlic in containers….the better to keep out the zombie animals that eat everything else. Thanks for the opportunity to win an awesome garlic seed package! This will be my first time growing garlic. Please enter me in the contest – I’m all for anything that repels zombies!! I’ve planted my garlic and my 3 year old son just dug a bunch of it back up… Think the zombies have some mind-control power vs. the malleable mind? pesky zombies. thanks for the info about the kelp. i hadn’t heard that before. I’d love to grow some garlic! Thanks for the contest! Love that garlic. Have it on my toast covered with cheese most mornings. I have really enjoyed growing garlic for a few years now. I don’t have much ground, and I am concerned about crop rotation. Should garlic be rotated like other veggies? You’d have to be dead not to love garlic! Very cool! I wonder if garlic will keep bunnies away? They’ve been tearing up our garden! Oh silly zombies. Good thing they don’t know the wonders of minced garlic olive oil and fresh greens from the garden, Yumm. I too wonder if these will deter zombie deer! I wondered why Halloween is the best night for planting garlic. At least, that’s when I try to time it in Los Angeles. Why oh why did I wait all these years to plant garlic? It is one of the absolutely easiest crops to successfully grow, and what a joy to cook with garlic you grew! This will be my 3rd year planting garlic, and this year I will be planting garlic I grew, not purchased! Woohoo! Maybe next year I will pick at the optimum time instead of a little late. I scratched in some bonemeal. when I planted my garlic.. was that a good idea ? Can zombies read? I can give them directions to some tasty humans I’d love to have them munch. As for us here, we’ve got out garlic planted but I may need more! Since I have been planting garlic for several years now, I have not had a single problem with zombies! What is the salt content of your liquid kelp? There is never enough garlic. No need for the Zombies. My garlic is all Italian — we could use an infusion of diversity out here! Thanks for the entertaining and informative blog. Glad I came across you Gen (as you call yourself) because I was just telling my conifer customer at work (I work at a retail garden center in Santa Cruz) about your Pinterest board and I think we bonded (me and this guy) over the Goth Garden concept. I am now wondering just how much you really hate zombies?? I mean their kinda goth right? So anyway I love anything black myself, and was most taken by a black wall and how that works with the Humboldt Bay light (I was a landscaper in Arcata for 5 yrs. about 5 yrs. ago) or lack of. The black wall made the best of the existing light and I am going to try this at the first opportunity to design. I am going over to Pinterst now and taking another look at your page! I grew up in New England, where we did not eat garlic, at least in my family. Having just read an article about 19th century vampire scares in Smithsonian magazine, I can see that there may be some connection … no garlic, more vampires? zombie apocalypse is upon us: I wanna be a garlic farmer! I few years ago I used up my prescription medicine allowance by August. (that famous doughnut hole in insurance policies that the politicians talk about now. I was pretty sick that year.) I had to choose which medicines I could afford to continue to take and which ones I would have to give up. My Lipator was too expensive… way over $100/month back then. I talked to my pharmacist and he recommended garlic oil and flaxseed oil everyday. (Mind you, he was not advocating that I stop taking any of my prescriptions, it was just that I could not afford to buy them all.) It worked. My lab results after 3 months on garlic and flaxseed showed that my cholesterol did not go up, it continued to go down. My doctor was amazed. When I passed that “doughnut” period of time and my insurance again covered my meds, I did not resume the cholesterol medicine. Now I eat 2 cloves of garlic a day, either raw or added at the very last minute to my food so I don’t cook out the goodness. I also feed my husband 2 cloves a day. My cholesterol level is good for a woman of my age. I tell other seniors about this whenever they talk about their medicines. I am always running out of garlic. I was just telling a gardening friend that she could plant garlic all around her flower beds. Good to know I was Zombie-proofing her. Any idea of Russian Red’s success here on the Left Coast? I have read that planting garlic among other plants helps keep pests away. Just one of the reasons I’d like to try raising garlic. Thank you! I don’t know about zombies but if it will keep squirrels out of my garden, I will plant it! This is my first year growing hardneck. But what I love about hardnecks is that there is so much range of taste and temperature. I can eat raw Italian Purple garlic and crush the cloves in between my molars and get all the Vitamin C, B6 and minerals like Calcium, Phosperous, Selenium and Manganese. Then, I can use a hot hardneck for something I can cook. I like to throw garlic into fried rice with eggs, spaghetti basil and olive oil, cream of wheat after I cook it I add some butter with garlic while still on the stove. I mean, I like to barely heat up the garlic so that it is strong and does not lose taste so I throw it into pot or pan for a few minutes. I also like to heat up olive oil or butter and salt and throw several cloves into a pot and heat up the cloves for awhile. They get nice and sweet so you can pop them into your mouth like a carmelized garlic candy. Unless I am eating garlic raw, I typically add salt with my garlic. Last year I grew CA White and Polish White softnecks. This year, I am trying Italian Purple and Russian Red. Eating the Italian Purple really helps replace the urge to get a piece of candy in my mouth. It is a really fun munchie. I’m four years into growing garlic in the desert and I’ve got to say it’s great to grow here. I’m in charge of a school garden and it’s wonderful teaching the kids how cool garlic is. So far I’ve tried to California Early White and Music. I’m especially pleased with the flavor of Music. I want to try the Russian, so I’m hopeful I win. Thanks for this great chance to try new things, what fun! I don’t know about Zombies but if squirrels are problem for you like they are for me try this easy trick. After planting your garlic in the fall cover the ground with chicken wire. Remove the chicken wire in the spring before too much above ground growth starts back up. Since the garlic has some root growth by the spring less garlic is dug out by the over eager digging machines. I have been researching and trying to learn about growing garlic for my family & stumbled on this post and giveaway=D I would so love a chance to win this great package but even if I don’t I’m glad to have the info from your post! I am intrigued by growing garlic, and love to use my own home grown. This year whatever I planted did not do so well — looked and smelled like garlic (growing) but never got any curl on the top with bulblets in them, nor when I dug them this fall, were the bottoms like garlic cloves, rather like a green onion shape. But — they definitely smelled like garlic! Anyone know or can guess the reasons for this? If the zombies come early before the heads have formed, you can grab some scapes from the hardneck variety of garlic and try to slow them down – without compromising the crop! As an eight year old gardener, I will make a garlic braid and defeat that zombie. I’ve grown some garlic and it’s easy to do. In our large family, we eat a lot of garlic. I hope to win. Garlic has powerful antiviral, antibacterial and anti-fungal properties so it must be effective on zombies. I can dig it! Its always fun to try new kinds of garlic. Even better if you can grow it yourself. I love garlic and I’ve been wanting to plant some this fall anyway. Hope I win! Would love to give growing garlic a try. Thanks for the offer to enter your contest. Here in Louisiana, we grow a softneck creole variety that I originally bought from a local farmer at the Red Stick Farmers Market in Baton Rouge. We have saved “seed” from this variety each year for going on five years now. We typically plant 600-800 ft of garlic each year for out CSA. This past year, we had an abundance of very large (golf ball to tennis ball) sized undifferentiated bulbs that will be planted by the end of October. I expect that these will make huge bulbs once they have another growing season to expand and differenitate into toes. Visit our CSA blog site at http://www.porthudsonorganicscsa.blogspot.com to see what is going on down south. Yeah for Garlic! Nay for Zombies! LOL Funniest post! This is my Mom’s favorite type of garlic, would love to win some to grow for her. Hmmmm, Russian Red Garlic? That would be a great combo with my smoked hungarian paprika and ground bison chili! I am getting ready to plant a “garlic sampler” to give away to friends next year. The more varieties, the better. Thanks for participating in this give-away. Love your blog! Also, love Plants vs Zombies! Just prepared the winter bed this weekend, and would love to add some Russian Red garlic seed! Zombies and garlic! Who’d’ve thought? Since my three daughters were in a zombie video this past summer, I am thinking I need protection. Roses are red, violets are blue, forget growing flowers, I need garlic for my stew. It’s garlic planting time again. Some new varieties would be fun to try! I need a variety that the gophers don’t like! Thanks for the fun post. My second year planting garlic for my gardening clients. Every time I think something is simple, straightforward, obvious, I learn so much I hadn’t known before. This time my lesson was about garlic’s need for full sun (not shade tolerant like onions). We grew about 480 row feet of garlic last year, we put it on the down wind side of our high tunnel hoping that it would be somewhat protected from the wind. What we didn’t expect was that the eddys were more powerful at scouring the dirt than the straight wind. The result was that we replanted the three hard neck varieties we had several times. we usually found two neat piles, one near each end of the high tunnel, so when we replanted we had no idea which variety was where. The end result -over 70 pounds of wonderful garlic with the added pleasure of not knowing what to expect in flavor from any single bulb! I want to repel zombies too! =) Never heard of that game, but it sounds funny. Russian red is a variety I definitely want to try. Thanks for offering this amazing giveaway. Garlic, glorious garlic. I wish to plant you in my garden and share you with every one I love. Red Russian was a good performer for me in Napa a couple years ago. Hope fully we a good weather this year and good rain. LOVED the article. My kids keep telling me we need to prepare for the zombie apocolypse. Haven’t planted garlic in a few years, but now we are very motivated. Thanks! I love garlic!!! I’m thinking if I start planting some, it will ‘grow’ on the hubby. He will have no choice but to love it too! has anyone had success growing garlic or onions or potatoes in smart pots? if so, how did you do it?? what type of soil and what type of soil boosts? Always fun to try a new variety of garlic. Such a cool giveaway! You always have the best contests! Unfortunately everybody knows this and my chances of winning are diminished. Whoever does win, be sure to use it in the landscape against a blank backdrop and let them bloom! They also make great cut flowers. Thanks for an exclusive northwest garden blog! I would sure love to win, as my love of garlic runs deep, and my previous experience planting it has been disappointing. Thanks for the wonderful opportunity. This would be great for my garden. I’ve been having some luck with a german hardneck variety, but would love to try another variety! I love garlic. I never used it to cook with before I met my wife. I can’t believe I missed out on so many years of its deliciousness!! How can anyone cook without garlic? I would love to try these varieties. The liquid kelp intrigues me too. I put garlic in almost everything I cook! Mmm! Would love to win this giveaway! Thanks for having it and great blog also. Hate zombies. Love garlic. Sign me up! I just moved to a new place and need to bolster my zombie defenses here. Pick me! I’ve only tried growing garlic once and my elderly neighbor decided the leaves were too close to the fence and broke all of them bending them over towards my yard. 🙁 The pot will definitely come in handy. First attempt at planting garlic this year—got 2 garlic bulbs; split them apart into the individual cloves; took all the skin off the cloves and planted. THEN watched video where I saw NOT to take the skin off the cloves. Love this site! I was reading through and found a DIY Grenadene recpie and homemade flower candles! I am also looking for Christmas gifts that don’t cost much but show that I care! Homemade gifts are the best! Thanks for the info. I am going to tag your site into my favorites! As far as the garlic – I have never grown any. I have eaten plenty, so I suppose I should grow it for myself. Would love to win this prize! Hi – I grew hardneck last year for the first time. I like it because I think it is a better keeper. Darn I just had this whole big thing I was posting but got knocked off line. I love garlic ad hope to win this. Zombies beware when I win or should I say Vampires beware! Homegrown garlic is AWESOME. This year we tried the scapes for the first time – cooked up in a frying pan with a little minced garlic and olive oil, we discovered it was a lot like young asparagus. My husband really liked it over steak. 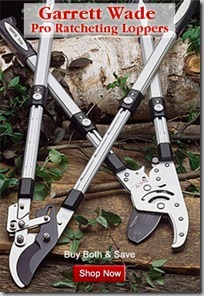 And I only use them to keep squirrels away…. Oh, what I’ve been missing. Love your blog and would love to win the garlic. For some reason, I only like red garlic. I love growing garlic. It is easy and very satisfying. I haven’t planted mine yet. Gotta get going! I’ve not grown this kind of garlic before! Thanks for the opportunity! I love your PvZ strategy utilizing the garlic! Perfect! Thanks for the chance! I inherited some hard neck garlic in the garden of our rental house, so I have no idea what kind it is. I LOVE fresh garlic- one clove has the flavor of 3 store-bought cloves! I want to branch out and try a different variety. I have to admit, I’m more scared of cancer than zombies. But they are both terrifying, so I’ll be darned if I’m not planting garlic! I need some garlic for my fall planting! Mmmmm……garlic!!! Guess I wouldn’t make a very good zombie! No one is going to complain about garlic breath with ZOMBIES around! I planted the end of November last year thinking I was waaaay to late but was rewarded with a wonderful crop of monstrous bulbs a month later in the summer. I also plant deep 4-6″ and cover with a minimum of 4″ of straw to accomadate the cold Montana winters. And here I thought bullets would slow them down, how wrong can a person be? Don’t get cornered in a grocery store by a zombie either, or it’s doomsday for you. I’m Zombie. Must grab garlic from lady blogger. If no grab garlic then must bring lady blogger to half-life in the Unpeaceful Valley of the Dead. I see blogger lady. I see garlic. I’m close. Couple more feet. Double-latch doors mean nothing to me. There. Face to face with the prize. I open my arms, put my hands on…. At my feeble attempt to grow garlic this year, I bought some organic garden from the natural food store here in Santa Cruz and it did all right but nothing to write home about. Thank you for the tips and I look forward to future success! And yes, heed off those Zombies!! Really though, thanks for suggesting that garlic be planted to repel garden pests — will definitely work this into my garden plans. I work with kids – elephant garlic is a great hit! But I’m always ready to try something new. I would love to win this! I just grew garlic for the first time last year, and now I am hooked! Great blog. I haven’t grown garlic either and would love to try some. Does it keep pocket gophers away too? I am planting garlic this year for the very first time and am excited to see this Garlic Planting Party. I have some locally grown Chesnok that I planted yesterday but would LOVE another variety to try. Am excited to start growing garlic this coming year. My favorite game AND my favorite veggie to grow all in one post? Watch out, you just might make a regular reader out of me! I’d love to win the garlic. I’d love to win this. I’m having a big garden for the first time this spring and I’d love to add garlic to it! Count me in! I’m always ready to try new varieties. Id no idea. Thankfully, I read this just in time! No zombies for me. I’ve never grown garlic before, but my father has. I’d love to add growing garlic organically to my repertoire. Would love to try growing a new type of garlic and this kit might enable me to be a bit more successful than I’ve been in the past! Ooh, I didn’t know garlic repelled Zombies… How could I have missed that? Gosh, if only it was chard or mustard greens that repel Zombies, we have LOTS of them, but they only repel the kids! If we win, I’ll make up a diabolical brew with chard, potatoes and GaRLiC (after the harvest)–maybe some ginger too, for good measure. That ought to give us Breath of Fire, with which to chase a few things away. “I challenge ye scurvy children to finish yer vegetables… What’s the matter, not Chicken are ye?” Oh, that would be good with grilled chicken, …and honey-mustard. Right, my menu’s set! The more garlic, the better! Have grown garlic for 3 years now and could never go back to store bought. I love garlic and would love to grow some! Just enough time to get it in the ground before the winter freeze! Please enter me. I now have a place to plant, adequate winter storage and looove to eat anything with garlic. I would love to try my hand at garlic. Thanks for the opportunity. I had no idea garlic repelled zombies – thanks for hosting the giveaway! Yay garlic! Thanks for another chance to win! Cannot believe my eyes? A second chance to win? Oh, please let it be me. I would love a shot at this garlic giveaway, just in time before winter sets in. Thanks! Funniest garden blog post EVER. My husband and I love “The Walking Dead, ” so I would also suggest a garden trowel through the brain to finish them off (unless you really WANT them to head over to Scooter Jerk’s house). Also love garlic. I’m so in! zombies actually don’t like having garlic breath so i am wondering what happens if you plant mint beside or behind the garlic? i am also wondering if there may be one variety they are less deterred by? I still remember the smell the first time I harvested home grown garlic – incredible! Gotta get me some garlic! I think I need to keep those zombies away! Sign me up! I was saying to my husband yesterday, we should plant some garlic. Wow, in keeping with the Halloween thing, you are reading my mind. Spooky! I love garlic–lots of garlic. Dang!! I’ll NEVER win with this many people commenting! 😉 However. I love garlic. LOVE it. One of the easiest crops of all to grow (long as you have welded wire on the bottom of your raised beds – turns out gophers also love garlic, which I’ve learned the hard way). Did you see the Joss Whedon video about his pick for President? His main criterion is who will speed up the zombie invasion. I didn’t see any garlic in his kitchen. Hmmmm…. Love me some garlic, and have room in the garden. I was so happy to see this giveaway was back again… I just started preparing my back yard for a garden and really got inspired to plant garlic from Alton Brown’s “Good Eats” episode. It’s also good to know that I will now be safe from any impending zombie attacks! Today is the first snow! That doesn’t mean I can’t plant garlic, right? RIGHT! Move along, zombies. This place isn’t for you. Would love to try some! Everybody loves garlic and free garlic is even better. I love garlic because it is good medicine. Garlic heals and is considereed natures antibiotic..Garlic Rocks!! I dream of braids and braids of home-grown garlic!